Weight Loss ... That Works ! 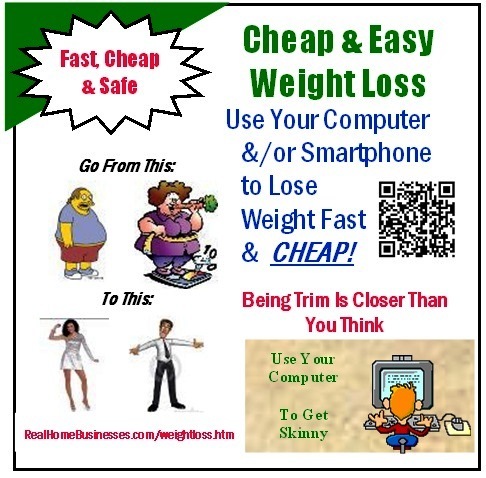 Tired of being overweight and need an affordable, proven way to take off the pounds? Well, you've come to the right place. I needed to lose about 60 pounds and using this program I lost 15 pounds the first week on my way to losing 60 pounds and all without costly supplements or special foods or monthly fees or public weigh ins or the like. This system uses proven methods of calorie counting with moderate exercise to achieve amazing safe, fast results. This can be used my men or women to get great safe, results; fast. This plan uses a computerized calorie counting system to insure your rapid results producing a realistic diet that you can keep. 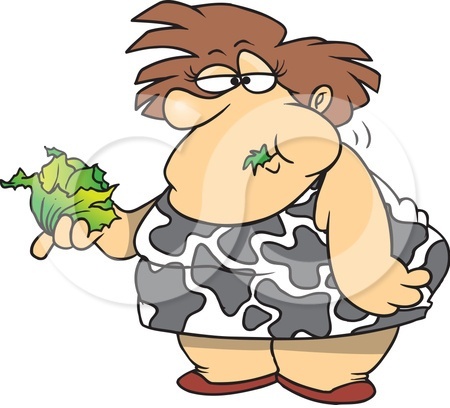 This takes a no nonsense approach to setting your ideal weight and losing the excess weight. We provide you with complete instructions in a 10 page PDF file to show you how to use our custom Excel spreadsheet to track & forecast your key numbers. You don't have to read a 300 page book to learn and use this system. We also provide you with a method of tracking your glucose levels, if you are diabetic, and projecting the all-important A1C figure. This system takes you through finding your real ideal weight (not some skin & bones weight from the Height & Weight tables from the 1950's). I'm an ex-football player and if I got down to the weight they suggest I'd be a bean pole. I'm 6'1" and the chart tells me that I should weigh 185. I would feel great at 220. I started this plan when I was 280 and used it to quickly got down to 220. This system can be customized to your food preferences in a matter of a couple minutes. It calculates your ideal weight and tells you how much you need to lose. It also tells you how many calories you need to consume to reach this goal and how long it will take to achieve this goal weight. As I mentioned, I use this system and it can be implemented and used for your meals in a few seconds throughout the day. 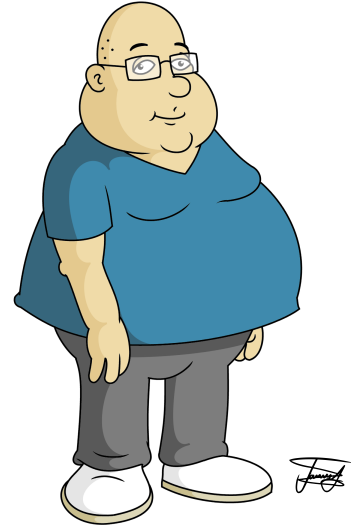 Nationally there is an epidemic of Type Two Diabetes that is brought on largely by people being overweight. This diabetic condition can lead to heart attacks, stroke, poor vision, blindness, liver problems, poor circulation in lower extremities which can lead to amputations. This is no laughing matter and should be taken quite seriously. The weird part about this disease is that it has few symptoms save excessive thirst and wanting to drink water more than usual, rapid weight loss, poor vision, fatigue and generally feeling run down. Diabetics and Pre-Diabetics should check their blood glucose levels periodically to be sure it isn't running too high. The normal range is about 100 with increases to 130+- after a meal or other food or beverage consumption. This normal range gives an A1C of 5 or 6. When a person is diabetic, they can be treated by altering their diet and exercise routine, with diet, exercise & pills or in more extreme cases with diet, exercise and insulin shots. Typically a doctor likes to see their diabetic patients keep their A1C reading at 7 or below which is about 170 or below on the glucose meter that tests a speck of blood. 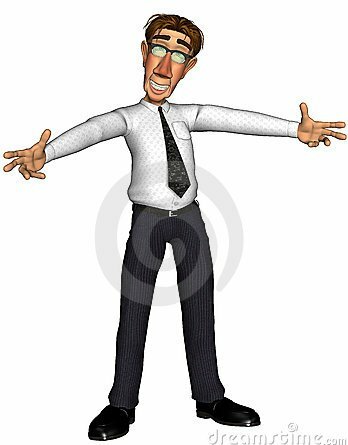 No one but your doctor could give you this figure before. This weight loss program uses no special pills or foods or drinks but uses the most widely used method for weight loss; Calorie Counting. We have computerized this method so that it is quick and easy to use and as such people will actually use it and achieve great results. There are two main programs 1) the Excel Spreadsheet and 2) a Calorie reference book where you can find the calories in your favorite foods. In addition to these two main items there are 22 additional PDF files on calorie counting, burning calories through exercise and weight loss in general. I developed this system because I was overweight and needed to lose weight and control my glucose levels too. This program has been invaluable to allowing me to accomplish both of these goals. To succeed with calorie counting weight loss takes some time and this program allows me and now you to quickly and easily stay on your goal diet and achieve the results you desire. 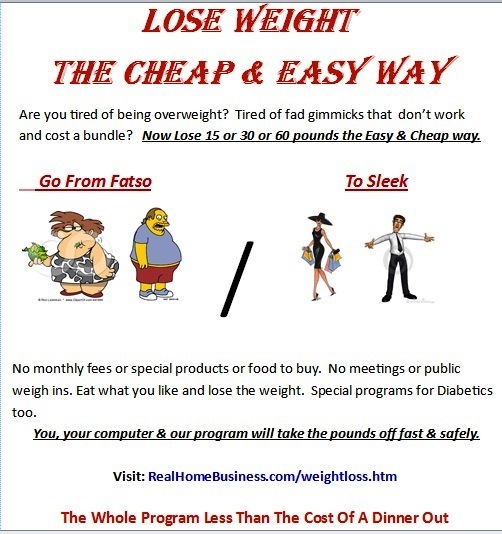 In Short: lose weight using a time tested preoven way that doesn't cost a lot of money to do. No special foods, meetings or recurring charges. This system works, it's easy and it is cheap. You don't need any special training to be successful with this . Everything you need is right here! 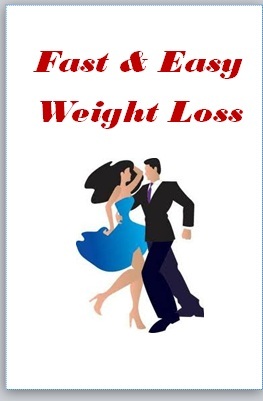 * 17 PDF Publications about weight loss, calorie counting etc. Our Weight Loss System gives you all 33 items above and our system is easy to set up and easy to use on your computer or your smart phone; losing weight couldn't be easier. You can set this system up to your personal eating preferences in a few minutes and they it only takes seconds to enter meal information to monitor your progress.... yes, it's that easy! 33 Files ready to put you on the road to being thin tomorrow!